The Ruppert Mundys, once the greatest baseball team in America, are now in a terminal decline, their line-up filled with a disreputable assortment of old men, drunks and even amputees. Around them baseball itself seems to be collapsing, brought down by a bizarre mixture of criminality, stupidity, and The Great Communist Conspiracy, aimed at the very heart of the American way of life. 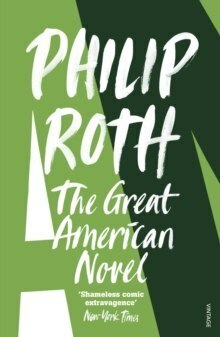 In this hilarious and wonderfully eccentric novel Philip Roth turns his attention to one of the most beloved of all American rituals: baseball. Players, tycoons and the paying public are all targets as Roth satirises the dense tapestry of myths and legends that have grown up around The Great American Pastime.